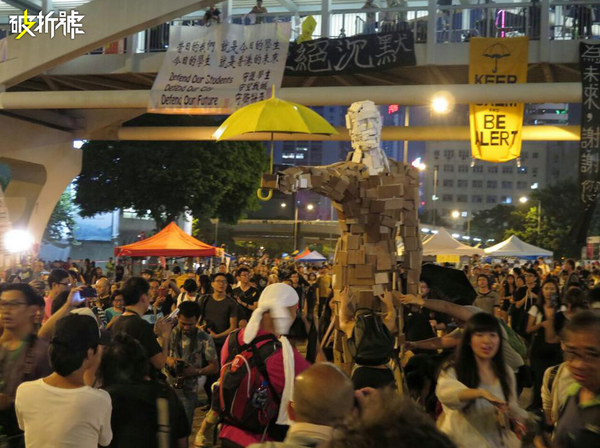 The Umbrella movement was officially launched at 1.45am on Sunday, September 28, 2014 because Mainland China is not honoring its treaty obligations regarding Hong Kong maintaining its democratic system. Police used tear gas and pepper spray on Sunday, September 28th in an attempt to disperse the nonviolent demonstrators which outraged many more Hong Kong residents who then joined the demonstrations. Tens of thousands of protesters have taken to the streets over the past week, paralyzing not just Central Hong Kong but also parts of Causeway Bay, Admiralty and Mong Kok demanding universal suffrage. On October 3, 2014 pro-government thugs, some apparently connected with organized crime (the triads), attacked nonviolent demonstrators while police looked on passively. Amnesty International and Human Rights Watch have issued statements on events surrounding the protests in Hong Kong over the past week carried out by the Umbrella Movement. On October 3rd Amnesty International denounced the failure of Hong Kong police to protect hundreds of demonstrators, including women and girls targeted for sexual assault and harassment, attacked by pro-government protesters who appeared on the scene. 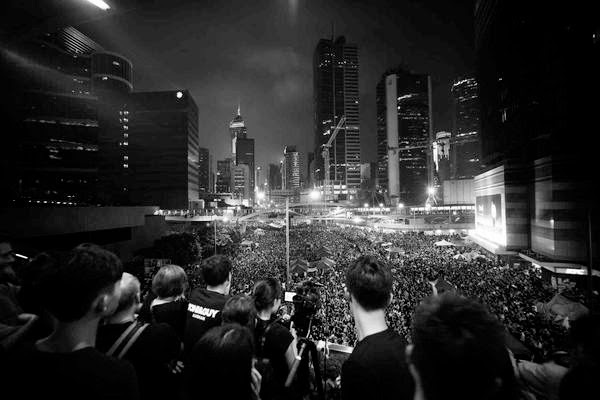 Two days earlier on October 1, 2014 Amnesty reported on arrests in mainland China of Chinese nationals who had demonstrated sympathy or support for the Umbrella Movement in Hong Kong. 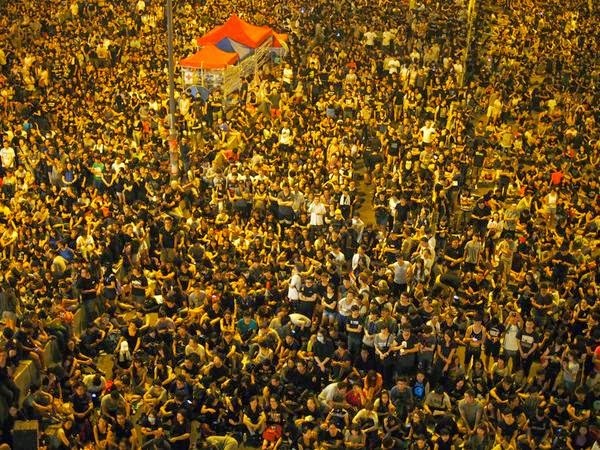 Human Rights Watch in an open letter expressed its concern for the ultimatum by the Hong Kong executive to use all means to clear the streets on October 6th and outlined three concrete steps the authorities must take to honor international legal obligations and to uphold its reputation as a territory committed to the rule of law. 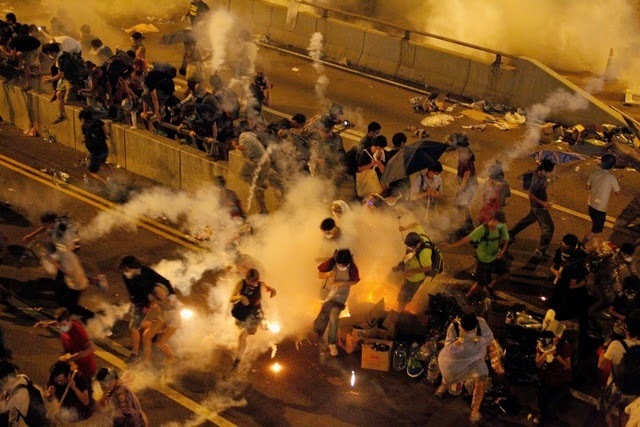 Hong Kong’s police failed in their duty to protect hundreds of peaceful pro-democracy protesters from attacks by counter demonstrators on Friday evening (October 3, 2014) , Amnesty International said. "The police inaction tonight is shameful. 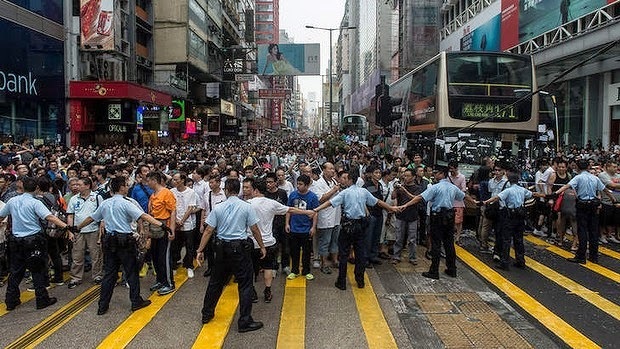 The authorities have failed in their duty to protect peaceful protesters who came under attack," said Mabel Au, Director of Amnesty International Hong Kong. "These remarks raise serious concerns about whether the government will adhere to international obligations to use force only where necessary and only to the minimum extent needed. The poor performance of some police officers in protecting some protesters from violent counter-demonstrators, as well as the government and the police’s initial failure to condemn that violence, raises questions about whether protesters’ rights and safety will be respected and protected. We believe that such words and actions can only exacerbate tensions, particularly about whether ongoing peaceful protests will be dispersed with force. 1. Ensure that security forces abide by the United Nations (UN) Basic Principles on the Use of Force and Firearms. We urge that security forces strictly adhere to these principles. Under the Basic Principles, law enforcement officials shall, as far as possible, “apply non-violent means before resorting to the use of force.” When the lawful use of force is unavoidable, law enforcement officials must “[e]xercise restraint in such use and act in proportion to the seriousness of the offence and the legitimate objective to be achieved.” Police restraint is particularly called for given that the demonstrations in Hong Kong have been overwhelmingly peaceful. 2. Ensure maximum respect for ongoing peaceful demonstrations. The International Covenant on Civil and Political Rights guarantees the rights to peaceful assembly, association, and expression, and tolerates no restrictions except those necessary for national security, public order, and public safety. The government has failed to offer a justification for the use of tear gas and pepper spray against peaceful protesters on September 28 and 29. If the government believes that the provision of public order necessitates removing peaceful protesters from particular areas, it must justify its decision in terms of why less restrictive measures would not suffice to protect public order, offer alternative venues for protest that are still central and accessible, and refrain from using excessive force in clearing those areas where the burden to public safety and health require clearance. Moreover, the government cannot prohibit peaceful assembly and expression city-wide. 3. Swiftly investigate and prosecute all those suspected of violence against peaceful protesters. There can be no impunity for those who have attacked peaceful protesters. Hong Kong’s reputation as a city tolerant of peaceful protest and as the home of a professional police force is deeply tarnished as a result of the October 4 incidents in Mong Kok and Causeway Bay. Peaceful protesters, journalists, and onlookers were kicked, punched, and knocked to the ground by unidentified men. We have received multiple credible reports of female protesters being sexually assaulted. Protesters have also told Human Rights Watch that police officers failed or refused to assist when pro-democracy protesters were beaten or harassed by those who oppose them or that police officers let suspected assailants leave without having taken down their details or arresting them. 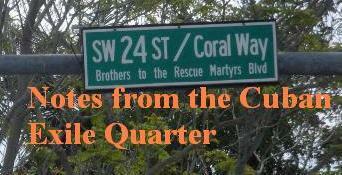 These attacks took place over several hours, and throughout that time police were few in number and appeared unwilling to protect the protesters, raising concerns about collusion and biased law enforcement.